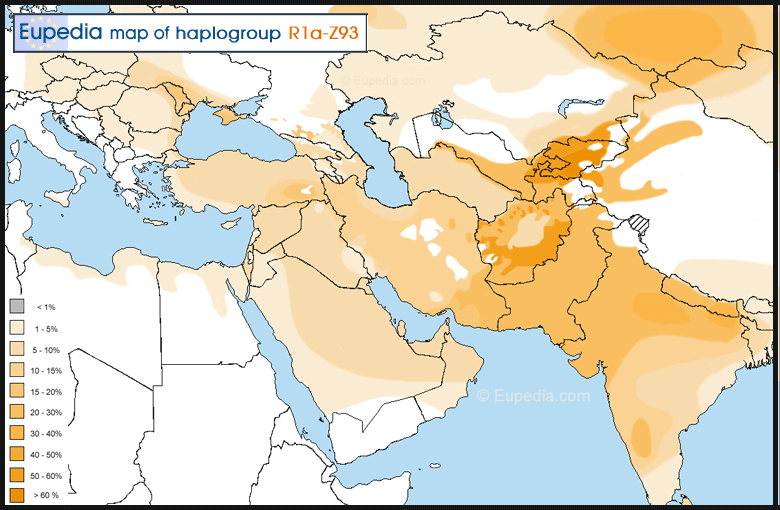 The maps on this page represents the distribution of Human Y-chromosomal DNA (Y-DNA) haplogroups. A Y-DNA haplogroup is a group of men sharing the same series of mutations on their Y chromosome, which they inherited from a long line of common paternal ancestors. A few new mutations, known as SNP's, happen every generation. This allows to retrace the genealogical tree of humanity with great accuracy and see patterns in the distribution of shared historical lineages. Most major haplogroups are many thousands of years old, typically going back to the Bronze Age, Neolithic, Mesolithic or even Paleolithic. The deeper the subclade the more recent the shared ancestor. Classifying SNP's into a genealogical order is known as phylogenentics. 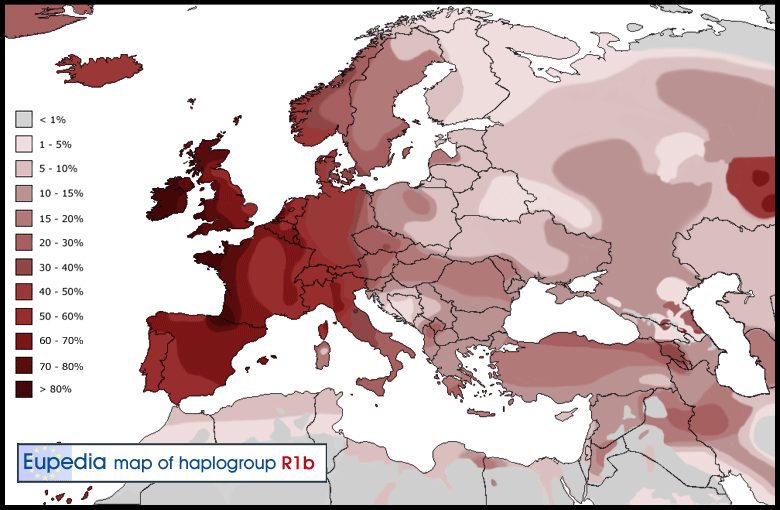 Phylogenetic trees of European haplogroups are available here. 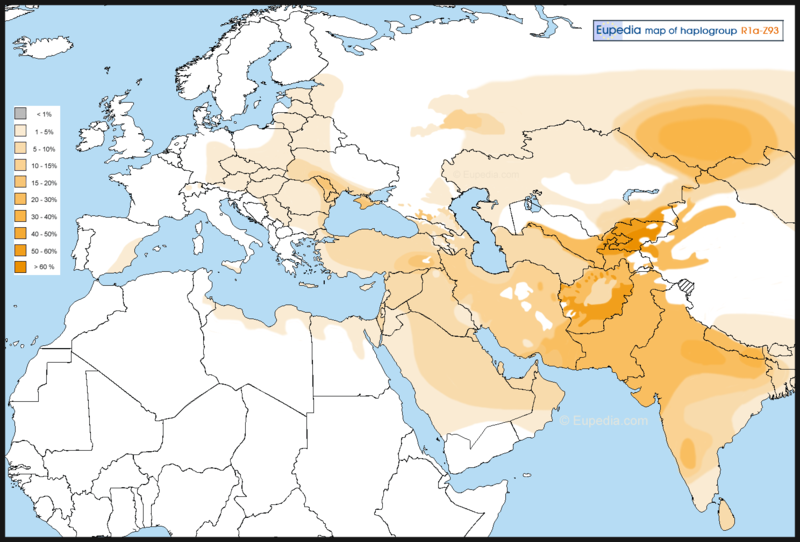 The following maps were compiled with all the latest available Y-DNA data for each country. The maps are frequently updated when new data becomes available. Disclaimer: The accuracy of the regional data for France is particularly problematic due to the fact that France is the only country in the world where DNA tests are prohibited by law and punishable by heavy fines (more information). 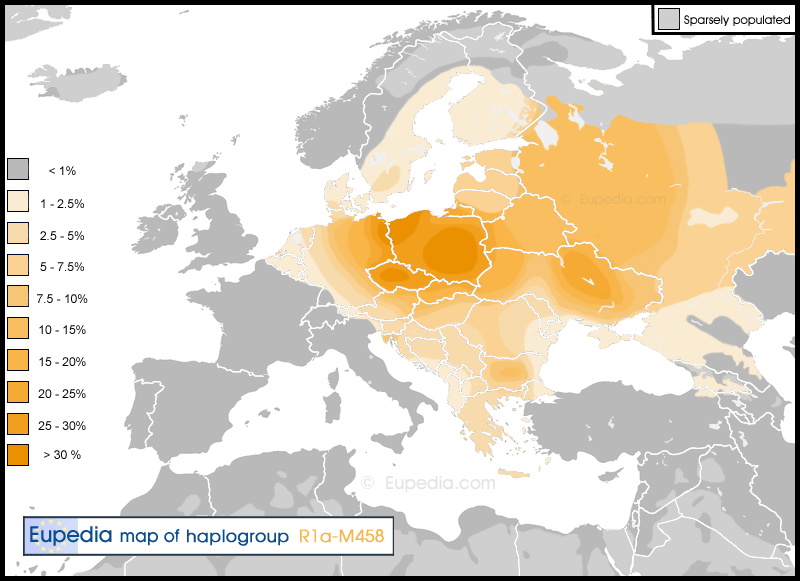 This map was computed by adding paternal lineages associated with the diffusion Slavic peoples from the Iron Age onwards. 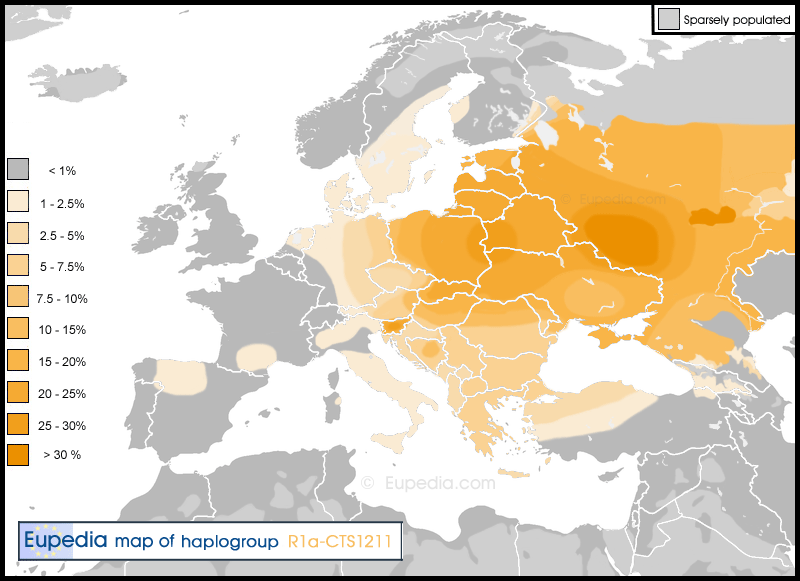 These include Y-DNA haplogroups I2a1b-CTS10228, R1a-CTS1211, R1a-Z92 and some branches R1a-M458. Some deep clades of E-V13, G2a, J2b2a and R1b-Z2103 may also be of Slavic origin, but as they have not yet been identified and no regional data is available, these were not been included. 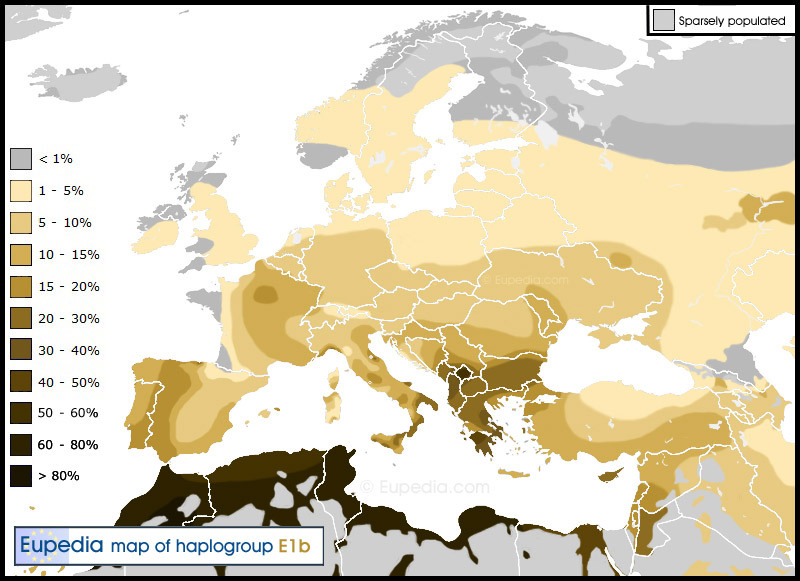 They might account for an extra 5 to 10% of Y-chomosomal lineages in Slavic countries. 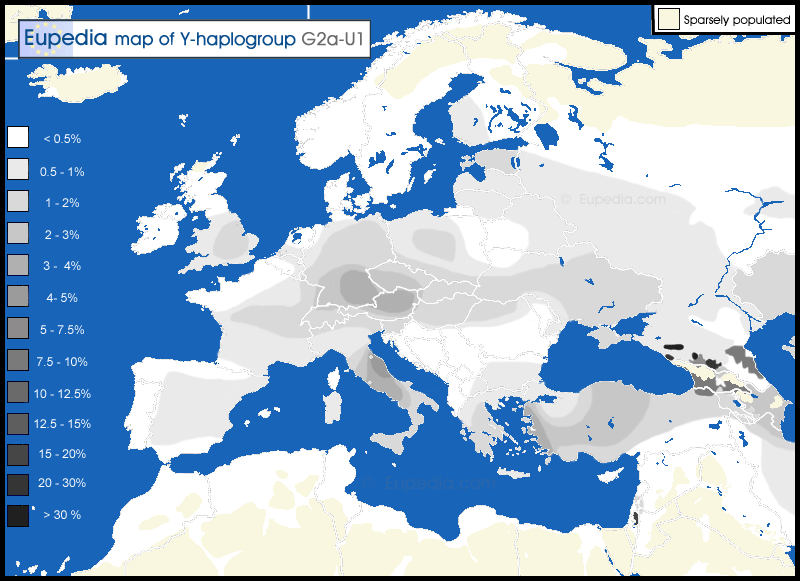 Within core Slavic countries like Western Russia, Ukraine, Belarus and Poland, the remainder of the Y-DNA is mostly Uralic, Germanic, Iranian (Scythian) with also some Celtic in Poland, Czechia and Slovakia. This map was computed by adding paternal lineages associated with the diffusion Germanic peoples from the Iron Age onwards. 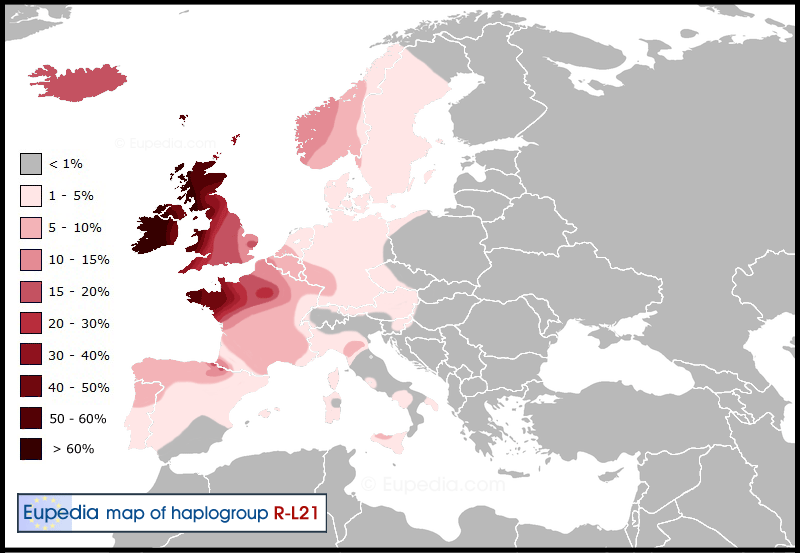 These includes Y-DNA haplogroups I1 (except some subclades of Finnish origin), I2a2a-L801, R1a-L664, R1a-Z284, R1b-U106, and R1b-L238. This map represents the paternal lineages associated with the spread of Proto-Italo-Celtic people from Central to Western Europe in the Bronze Age, starting circa 4,500 years ago. 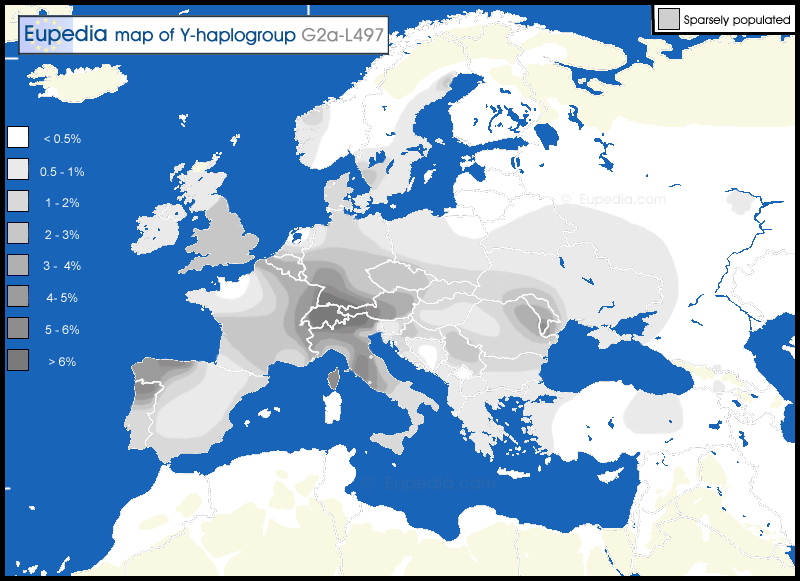 Their lineages belong to haplogroup R1b-S116 (aka P312), in other words most of the European R1b minus the Greco-Etruscan R1b-L23, the Germanic R1b-U106 and R1b-L238, and the Proto-Celto-Germanic L11, L51 and L150. 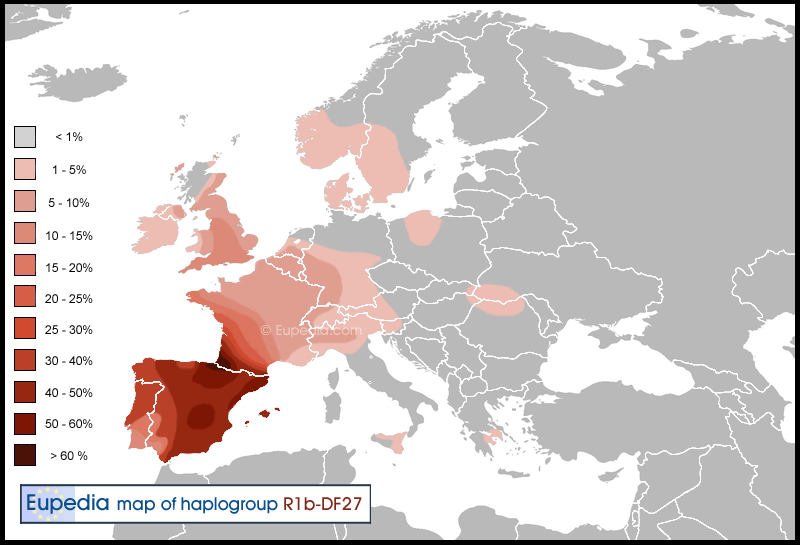 S116 includes subclades associated with non-Indo-European languages such as Basque, and the ancient Gascon and Iberian languages. 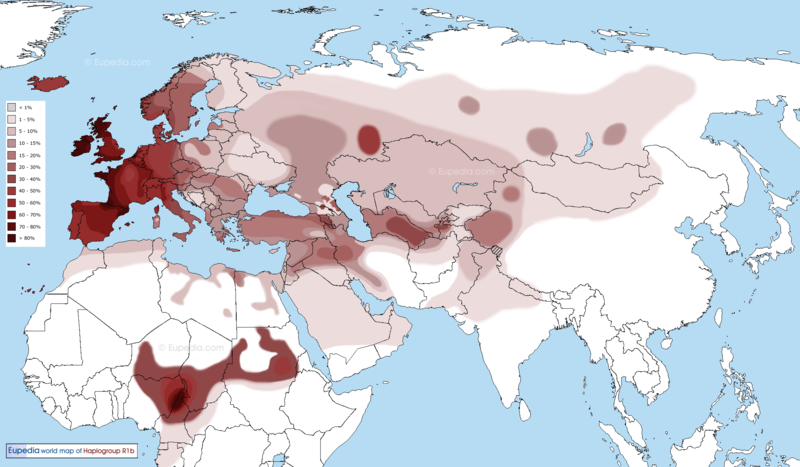 Since it is unclear exactly when and where Celtic languages developed and whether some Proto-Celtic speakers might have adopted indigenous languages in the land they settled (especially in Gascony and Mediterranean Iberia), all lineages were included for the purpose of this map, giving priority to Y-DNA over languages.